Damn, is it spring YET? Nanette Lepore's cheerful colors and pretty embroideries perked up the runways at Mercedes-Benz Fashion Week. Bright shadow florals, bright pastels and fiery red accented the feminine silhouettes for spring 2014. There was a whole range of coordinated accessories. 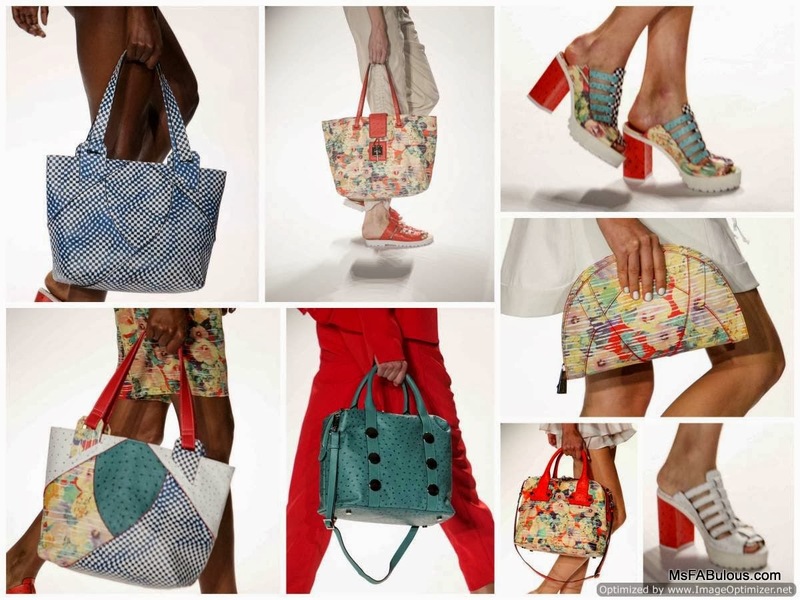 Handbags in totes, carryalls and oversized clutches were made in matching optic check or shadow floral print or a combination of all. Shoes were chunky, comfortable, open wide sandals in bright color block or matching prints. Like the combination of quirky patterns and silhouettes, the collection was a happy family, much like the company itself. Nanette always takes a bow with her daughter, while brother Jimmy is a cheerleader behind the scenes.